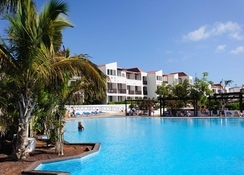 The Fuerteventura Princess Hotel is located just metres from the Jandia Beach. 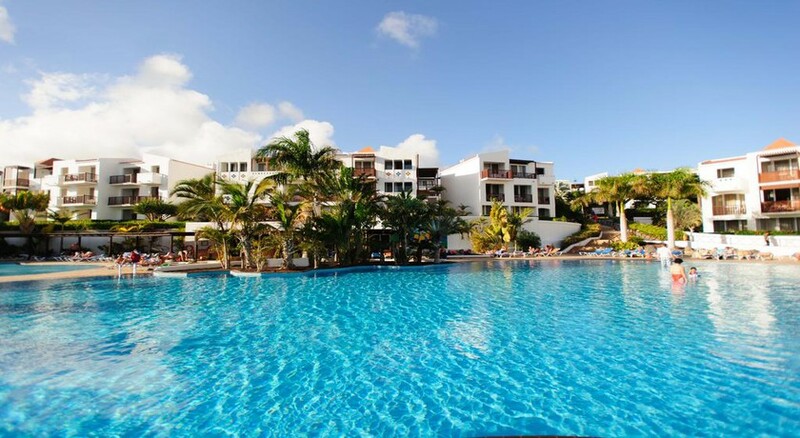 The bright Canarian architecture blends in perfectly with the fine sand and crystalline waters and creates a relaxed ambience that will quickly bring you into the lazy holiday mood. 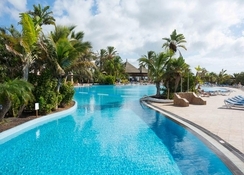 The Fuerteventura Princess Hotel offers a wealth of facilities that include three main pools, children’s pool, five bars, two restaurants, spacious guest rooms and a friendly service that will keep the guests engaged throughout the day. Bask up the balmy sunshine, glare the sea while you dine, swing your tennis racket on the hotel’s own tennis court, relax with a Turkish bath or go for a jog early in the morning alongside the beautiful beach. 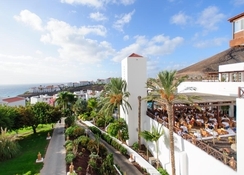 The Fuerteventura Princess Hotel is set amidst a massive tropical garden, where you will also see white low rising buildings. It is a short drive away from the Jandia Beach, making it convenient for beach lovers and water sport lovers. With a short taxi-drive you can reach the beautiful towns of Morrojable and Jandia. The Airport de Fuerteventura is about 77km from the hotel. 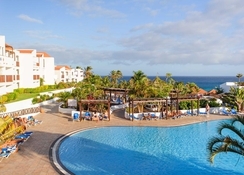 The Fuerteventura Princess Hotel features 432 rooms and also has 278 rooms in the Esencia area. Guestrooms are categorised as Standard Room, Standard Room Sea View, Superior Family Room, Essence Standard, Junior Suite Essence and Essence Family Suite. These rooms were recently renovated providing a front or side sea view. They comprise all the necessary amenities that include flat screen TV, telephone, air conditioner, king size bed or single bed, sofa bed, cradle, bathroom with shower, pool towels, mini bar (empty), tea and coffee making facilities, safe, Xbox and iPod charger. 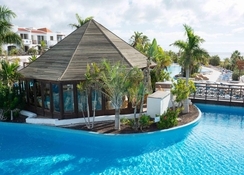 There are plenty of restaurant and bar options within the hotel that include a Main Restaurant, which is a perfect place to have breakfast and dinner with live cooking stations. La Choza Restaurant is the perfect place to have snacks while enjoying magnificent views of the beach and the Atlantic Ocean, it offers breakfast, lunch, snacks, tea, coffee, sweets and ice cream. The El Mirador Restaurant in Esencia is situated on the veranda terrace offering breakfast, lunch, dinner and snacks throughout the day. Not forgetting the bars, which are Bar Portalon, Antigua Room, Bar Bentacuria, Bar Amanay, Chill out Bar and Sotavento Club Bar. They offer the guests the most refreshing cocktails and mocktails from morning to night. There is a wealth of sport, leisure and entertainment facilities both for adults and kids. The resort also features three main freshwater pools, one of them heated according to season and a children's pool. Other facilities include souvenir shop, mini-market, kiosk, fitness centre, discotheque, internet terminals (with charge), four tennis courts (with charge), game room, ping-pong tables, billiard tables (with charge) artificial beach, two Jacuzzis, Turkish bath, hydromassage showers, massage area (with charge), sauna and relaxation area.